We got a new logo for the MYAU pretty much one year ago. And it was a nice one. However, I have not been 100% happy with it. Due to lack of time I used it anyway. With the help of MYAU competitor Peter Mild from Sweden, I re-started the project some weeks ago. We tried many versions and even had a look at the “wolf” idea again. But we decided that it’s athletes that stand in the centre of everything and that’s what it should be like in the logo. I think it turned out really well and I also like the maple leaf as a symbol of where we are. I hope you all agree with me. Thank you Peter for the great job and your patience with me! If any of you ever need a really professional agency for corporate branding and graphic design, please check out Peter’s company www.milddesign.se. This is just a reminder for all athletes who plan to enter the 2015 MYAU that our deadline for race entries is November 30th, 2014. This goes for the 100, 300 and 430 mile distances. Since sometimes people cancel on short notice please feel free to contact me also after this date. If the numbers on the race roster permit I may be able to accept your entry. People wanting to do the marathon can also sign up until mid January. Once again Total North, a communication specialist company based in Whitehorse will supply the satellite phones for the MYAU. These phones play a vital role for our communication and thus for the safety of all participants. With the phones and the service we get from Total North, we know things will work perfectly. They also offer sat phone rentals for participants. The daily rental fee is CAD 25. If you rent for a week it is CAD 125. Air time is CAD 2.50/minute. Alternatively, you can purchase air time bundles. Sat phone are not mandatory for the race. However, I do strongly recommend it for the 300 and certainly for the 430 miles. The SPOT units you will carry will allow you to alert us. However, you will not be able to get a clear message through to us as to what the problem is. And of course it is a great option to share some magic trail moments with friends and family back home. Should you be interested in renting a sat phone, please get in touch with me (info@thegreatoutdoors.de) and I will forward you the Total North sat phone rental form. 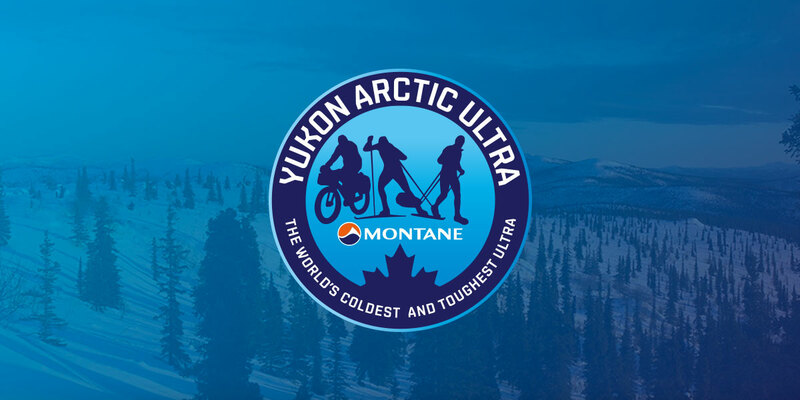 And make sure you don’t wait too long as during our race and the Yukon Quest rental sat phones are in high demand. Just a quick reminder for everyone to please let me know if you wish to rent any gear (sled, sled bag, harness, sleeping bag) asap. Especially the amount of rental sleeping bags is limited and on short notice I may not be able to help. Also I would like to remind all participants about our gear checks. We will look at your sleeping system (i.e. mat, sleeping bag, bivvy or tent) and we want to see if you can light your stove. Stoves that work with gas canisters are not recommended. It remains your decision if you want to take one anyway. The problem with these stoves is that depending on make and model they may not work in temperatures colder than – 20 degrees Celsius. So, if you take one please make at least sure it is a product that the manufacturer does recommend for extreme conditions. If you want to be on the save side, take an alcohol stove (like Trangia for example) or take a multi fuel like the MSR Whisperlite. A very important part of your gear is the sleeping bag. Not only does it have to have the right temperature range. It also needs to have enough loft! If the label says “Extreme Temperature -40 degrees C” but the bag has no loft, it will not be accept. That is for your safety! If you are not sure about what condition your bag is in please check with a good outdoor retailer or friend who frequently uses down bags. Also, please note that using two down bags which each do not have any loft, will not result in a better solution. Down jackets will not be checked but I want to mention some feedback I got in our facebook group when asking what type of down jacket people have used in the past. The main opinion was that for the MYAU you definitely should have an expedition type down jacket, like the Montane Deep Cold Down Jacket or similar. It’s not so much for when you are walking. Your other clothing should have you covered for when you are on the move. This jacket is more for your breaks and in case of an emergency. Also, this type of down jacket can help you get more out of your sleeping system. If you wear it on the move and sweat a lot, it won’t be of much use when you get in trouble. As always all 300 and 430 mile athletes will have to carry a SPOT unit. If you already do have a SPOT, please let me know as soon as possible as it will help me give Trackleaders.com a more accurate guess as to how many devices I need. If you use your own SPOT there will be a small set-up fee to include it in our tracking. If you don’t have a SPOT you will be able to rent. More info on this soon. 100 mile athletes do not have to use SPOTs. However, you are welcome to get connected with your own unit or you can rent one from us, too.